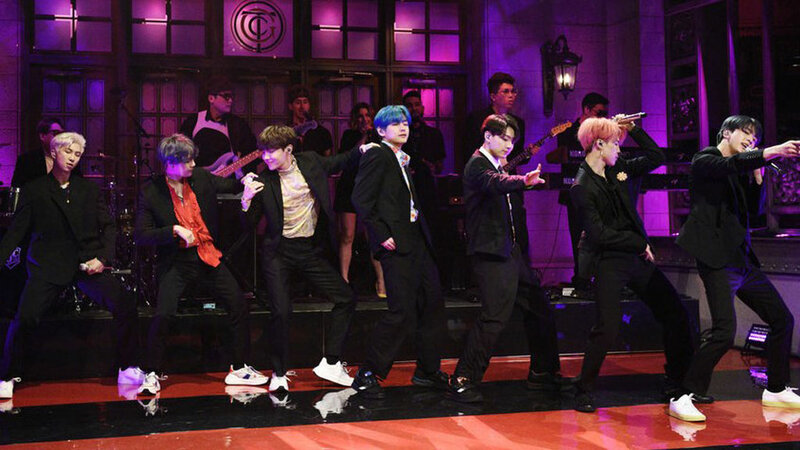 BTS made history over the weekend when they appeared as the musical guests on Saturday Night Live. They are the first K-pop group to perform as musical guests for the weekly show. The live broadcast format sets the stakes higher than most performances, but BTK sailed through their numbers without a hitch, not even appearing to be nervous as their images were beamed out to millions of viewers worldwide. Promoting their new album, Map of the Soul: Persona, the group flawlessly performed the songs Boy With Luv” and “Mic Drop.” The audience went absolutely wild, as did social media. BTS fans, known collectively as ARMY, made their opinions known on Instagram and Twitter during the performances. Los Angeles Times writer Jae-Ha Kim, clearly a big supporter of the group, took to Twitter. “Slay!!! Their voices were perfection… They adapted their dancing to that tiny stage. And they were backed by what looked like a Korean band. I feel like a proud auntie. I…even put my cake down for this performance,” she wrote. Actor Paul Bae used the band’s appearance to comment on SNL‘s history of exclusion. “I’ve been watching SNL since the late ’70s til I stopped watching in the 90s. Never seeing an Asian face on their staff always stung. But tonight I just saw 7 Korean faces gracing that damn stage and it was the best part of that show so I AM OVER IT. #BTSxSNL,” he said. And there was even more exciting news for fans. After BTS’ performance, NBC announced that the group would also be performing at the Billboard Music Awards in May.